Here is an image for car stereo head unit after installation,dvd gps sat nav autoradio of 2012 Toyota Hilux. 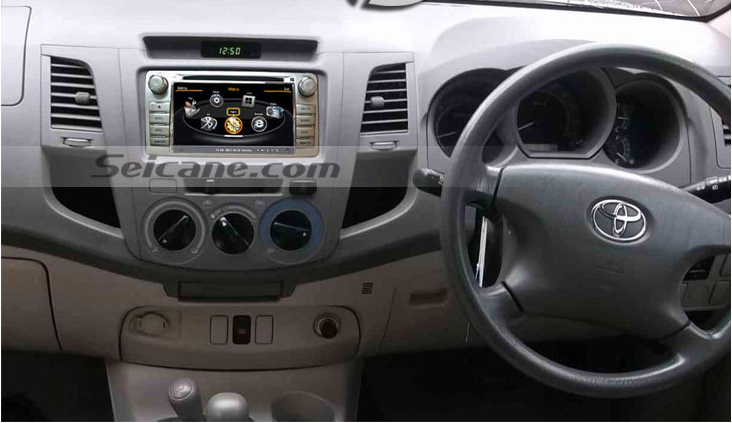 A lot of Toyota Hilux drivers have upgrade their original car stereos to new Toyota Hilux dvd audio system which has gps nav system,HD touch screen,3G WIFI and so on to make life in car more convenient. If you are so busy that can’t spare some time to do it,then you can ask a professional person to help you.Of course you can achieve it by yourself because this is not very hard work. 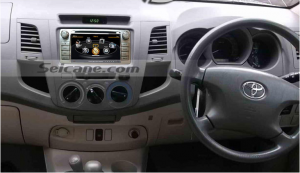 But you need know that it’s also normal for you to meet some questions,and today I will try to show you the solutions for some faqs during upgrade process and usage for 2012 Toyota Hilux cd dvd audio system. Q1: How to make the GPS work? A: First you should make sure that you have inserted the SD card into the GPS slot, installed the GPS antenna and set the file path correctly before running the GPS.I suggest you to install the GPS antenna in the position of your car’s dashboard. Please insert the SD card to the GPS card slot. Go to the Settings and then press Navigation to enter into the GPS Software Path Interface. Press the GPS Software Path change icon and then open the GPS file and find the software and select it. The setting up is complete and then you can run the GPS. Q2: You can’t find the SD card? A: The SD card are generally posted on the foam pad as you open the package or inserted in the GPS slot. For other small accessories, if you cannot find them,please check carefully in the package. Q3: How to update the map? A: You can download map on the Internet for this unit can support IGO,Tom-tom,Route 66, Papago etc. Q4: Why can’t the radio show any channel? A: It should be something wrong during your audio upgrade.The Radio antenna in the package needs to be correctly connected to your original car’s radio antenna and the radio area should be selected correspondingly according to your location. Q5: How would you deal with all cables? A: About this question,you can check if there’s any installation guide available by clicking “INSTALLATION” on the product page.You’d better arrange a professional person to install it. 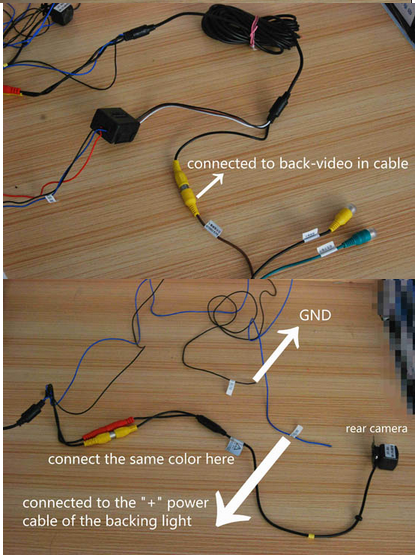 Q6: It supports rearview camera,but you have no idea about how to connect it to your car head unit? Every problem will be solved only if we can try to deal with them.Wish above answers can help you deal some problems.If you still feel confused or account some other issues,you can visit some related websites which has more detailed methods,for example:http://www.seicane.com/all-in-one-2012-toyota-hilux-dvd-gps-audio-system-radio-rds-tv-tuner-bluetooth-music-3g-wifi-ipod-1080p-auto-a-v-in-out-dvr-aux-pop-backup-camera-usb-sd-c143. 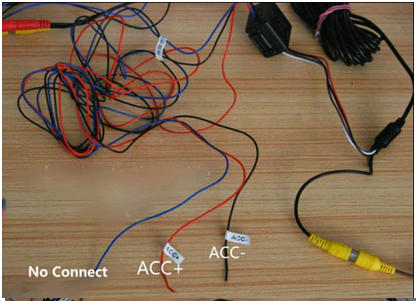 Be careful when you install a new autoradio in your car and read carefully the installation tips and pay attention to them,it means that you should what can do and what things not.